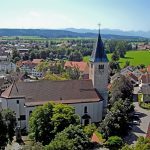 The origin of Pfarrkirche St. Michael parish church dates back to 1055, when Welf IV commissioned the construction of a new castle in Peiting, and in connection with this, probably also requested the construction of a large, stone church. In the first half of the 14th century, the church was evidently gothicised and in the 1730s was given an early Rococo style. As part of further building measures around 1806/1807, three alters made by F.X. Schmädl were brought to Pieting from the Augustinian monastery church in Rottenbuch in the course of the secularisation. 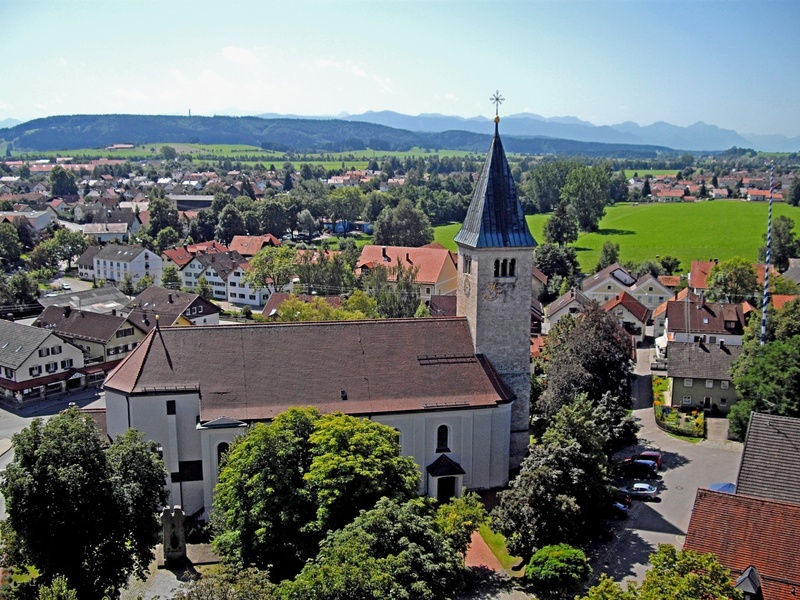 Not least because of its history, Pfarrkirche St. Michael is undoubtedly one of the “poorer” churches in Pfaffenwinkel in terms of its furnishings. Nevertheless, the church still houses a few interesting figures and alters as well as 14 stations of the cross on reverse glass paintings and a baptismal font from 1331.